Here are regrouped the details and schedules of the Intensive-workshops of 3 full consecutive days, usually Monday, tuesday and wednesday from 9 a.m. to 4;30 p.m. These workshops are formulated to give you a good basic knowledge of all the techniques but in a simpler project for the beginners. For those who have some experience in watercolour, I can teach you my favorite techniques wich are transparency optimization and the negative approach. All the details below besides each atelier. All the workshops require a intermidiate level of skills, except for the beginers workshop of course. 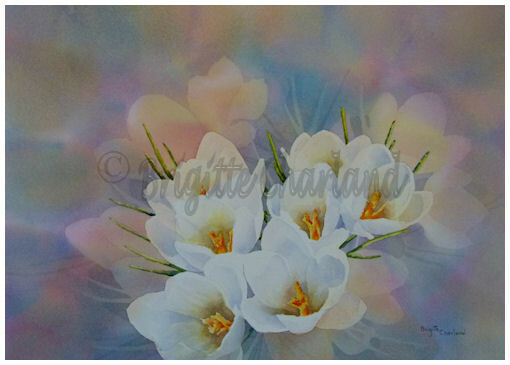 For the workshops annoted "intermediate", you need to be able to do small, but complete simple paintings by yourself. For the workshops annoted "advanced", you need to be able to do paintings with more complexe techniques and already done some paintings of the subject you want to learn more with me. There is never more than 4 persons by workshop but a minimum of 3 is required. I take your name, e-mail and phone number, and will put you in the right level workshop for the subject you want. I insist that the level of skills is the same for all 4 in a workshop, I may want to evaluate your skills. The 2018 SUMMER workshops have ENDED!!!!!!!!!!!!! thank you all, see you next summer! Here are the dates and subjects for the workshops, please not that there will not be any more changes in this schedule. 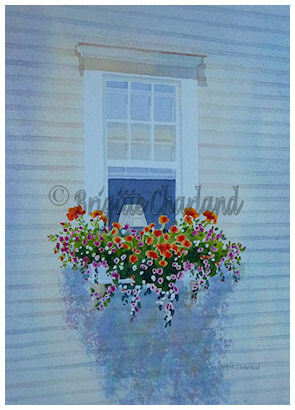 20-21-22 from 9 a.m to 9;30 p.m. Windows, balconies and villages in BLOOM, (completed). I will sk for a deposit check of 100$ but will only cash it when I confirm the atelier. Then I will also give you a list of material to buy or to compare with what you have so you don't buy anything before the atelier is confirmed. 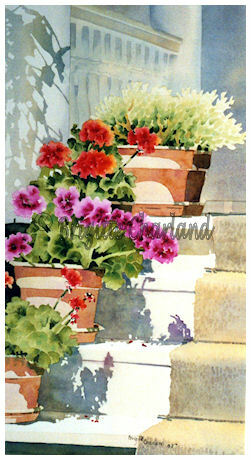 This workshop is specially designed for those who have never touched watercolour or very little. I beleive that before creativity becomes spontaneous, you have to experiment with the techniques of the medium; the level of pigments in the water, stabilize the wet paper to prevent buckling, know the steps for applying the frisquet to preserve whites so you can freely apply colour on a wt paper. We will go from a feild of lilies, to a snow scene with birch trees, to the roundness of fruits and a negative background and make softened edges. 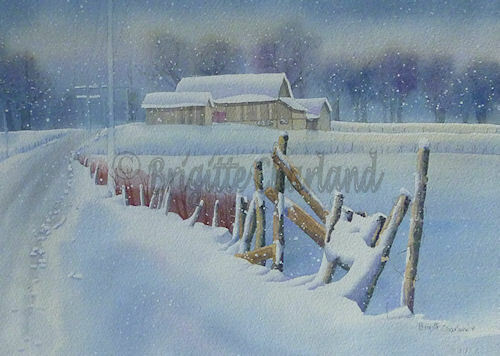 In short, we will touch to all the important techniques of watercolour but in simple subject and scenes to be able to concentrate on understanding the techniques at this level. This workshop is one of my favorite because it shows how to paint my favorite technique, the "negative" approach to creating soft backgrounds with less details. That approach can also be used in landscape and een portrait. Once you taste it, you're hooked. The photo is an exemple, subject may vary. In this workshop, wich is a logic suite to the basic one, we will paint a summer landscape, a winter one and a balcony with flowers with their choice of many colours and textures and different techniques. We will also discuss composition choices we have starting with a photograph. The paintings will be a bit larger and more elaborate than at the basic workshop. This workshop is candy to the eye, level intermediate+, it is full of textures, colours, light and shade. Subjects will vary to flowers to fruits but will be exciting and chalenging. We will paint a 1/4 sheet and a 1/2 sheet.